Last week I started work every morning at 4 a.m. One day I was in Denver, the next day I was in Chino Hills, California, the day after that I was in Orange County, and then I finished my workweek in beautiful Santa Monica in a hotel room overlooking the ocean. Even though I bounced around SoCal from hotel to hotel, I never missed a morning of GAI (Getting After It). That’s because I have powerful morning rituals in place that have been part of my success routine for over fifteen years. These rituals started me on the path to true freedom in my life. It began with me waking up each day at 4:30 a.m. in my tiny apartment in Toronto back in 2003. I’d focus on my number one priority in life (building my online business) before catching the 5:25 a.m. bus to take me downtown to the rich Rosedale neighborhood where I’d train CEOs, professional athletes, and stay-at-home moms from 6am to 6 p.m.
Like you, I had (and have) a busy, seemingly overwhelming schedule. But I conquered the daily grind when I put into place a time management success checklist that started with accomplishing one major victory first thing in the morning. It didn’t matter how the rest of the day played out. The world could not take back the progress I had made before everyone else had stirred from their warm beds. That’s just one of the secrets of success used by most millionaires and billionaires (like Richard Branson, Donald Trump, Oprah, Sarah Blakely, Elon Musk, etc.). Today, no matter where I am in the world, I accomplish a full “average person’s workload” before the average person even arrives into the office (where they, the average person, then spend the next 60 minutes on email and social media). That’s just one difference between average and accomplished. If you look at yourself as an average person, I have some harsh advice for you. Always think: WWAAPD – What Would an Average Person Do … And then don’t do that, because: a) Average is wrong; b) Average is a waste of time; c) You’re smarter, better, and busier than average. Cut back on average and focus on what doing the extraordinary. Ouch. The truth hurts. The average approach to life gets us nowhere. The average person watches more than four hours of television per day. The average person makes less than $50,000 per year. The average person is overweight, exhausted, and well, doomed to a life of average. Instead, set yourself up for accomplishment each day. Going back to last week, here’s what I accomplished. How did I get it all done? I follow a simple planning and a time management checklist. The very last thing I do each day is to prepare my schedule/checklist for the next day’s work. I use a template that looks like this and at the end of each day, I schedule in the specific tasks. This my best schedule. I’m not saying it needs to be yours. You and I have different familial responsibilities, different circadian rhythms, and different Magic Times. But what you don’t have is an excuse to not build a time management success checklist. Here’s how you’ll do it. In order to create your own Perfect Day schedule, you must first use my Time Journal Review. 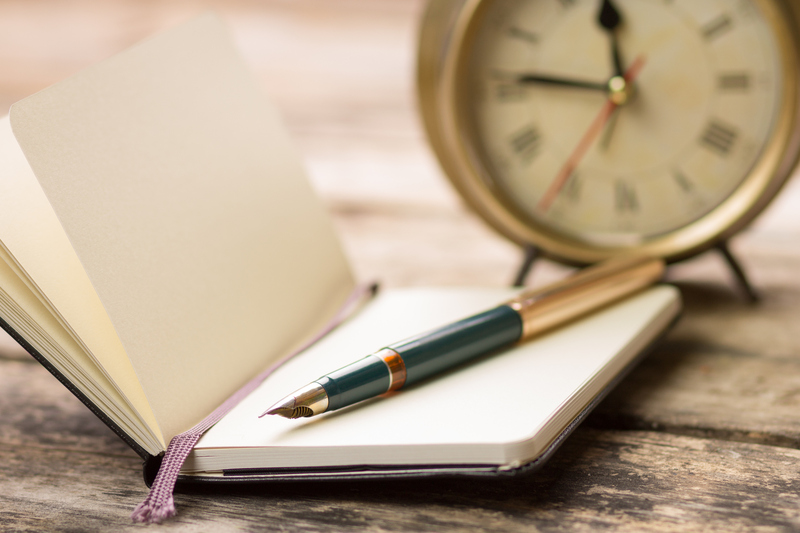 The time journal exercise requires you to document your days. You can download a FREE copy of my Time Journal here. Using the Time Journal success tool liberates your Magic Time, exposes your Time Vampires, and identifies your OCD (obsessive-compulsive) loops that hold you back from success (but that you must overcome if you want to become accomplished). Ten years ago I struggled with a common OCD loop. Each morning I’d check my email, my online sales stats, my blog stats, and then cycle through ESPN.com, MSN.com, and yes, even Facebook. Embarrassing, I know. Upon doing a time journal, I realized there were triggers (boredom, low energy) that tempted me into entering the OCD loop. To overcome the trigger, I needed an “anchor” to keep me on track with my scripted schedule. The success anchor was as simple as forcing myself to open the word document that I need to be working on (whether it was an article or chapter for my book). The anchor overcame the temptation and broke my time-wasting OCD cycle. Once you complete your time journal, you’ll identify your daily productivity problems, and you’ll start creating solutions to overcome each one. In addition to identifying obstacles, you’ll also uncover times of the day when you get a lot done, more so than at any other time of day. This is your Magic Time. Once this time is identified, you must make sure that your daily plan keeps those times free for maximum accomplishment. By making these three changes (creating a time management checklist, overcoming OCD loops and maximizing your Magic Time), you will triple the amount of work you get done each day, and you’ll become an accomplished, rather than an average, person. Success is now yours for the achieving.